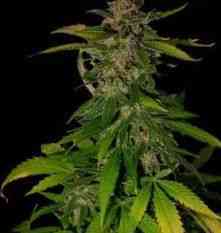 Bubblegum marijuana seeds were our first contribution to the seed world in 1993. Over the last decade it has proven, through numerous awards and world wide fame, that this plant is here to stay. We successfully inbred and stabilised this plant for it’s most desirable characteristics, it’s fruity smell, thick lingering flavor and short soldier like stature. Bubblegum breeds true, and has been used by many seed companies to produce award winning hybrids, and will make a great cornerstone for your breeding program. This is a true superplant! From now on also available as Bubblegum autoflowering seed: Crossing our sweetest and most aromatic Indica mother plants, we have obtained a new autoflowering hybrid, with high production of resin and flavor of strawberries and red fruits. Really powerful effects. High CBD and THC levels.